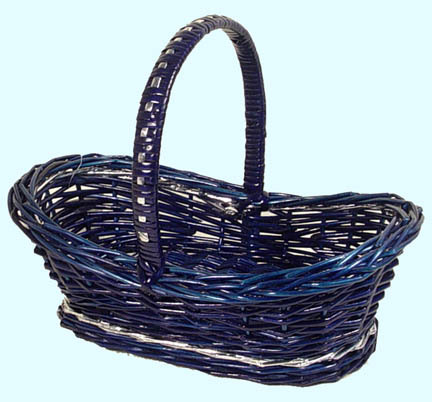 This Blue and Silver handle basket measures 13.5" long, 8" wide, 9" tall to the top of the handle, 3.5" tall at the center, 5" tall at the end without measuring the handle. The dimensions are outside measurements. This basket is made of white willow woven with silver paper. The willow is staineded in Blue.